I think I’m convinced that kids nowadays are bored out of their minds. They obviously don’t go outside and play anymore. They’ve resorted to creative ways to get into trouble. Everyday, I read up on the latest news via KTLA.com. Today, I was floored by an article detailing children getting high off… wait for it…. Bath salt. Yes, bath salt. Bath salt is now being snorted. A few weeks ago, it was some dumb crap called “The Choking Game,” where kids would strangle themselves nearly to death to get a feeling of euphoria after they let go of their neck. Recently, there has been an influx of reports of dangerous and sometimes deadly incidents stemming from the consumption and abuse of the powdery substance, either through smoking, injection or snorting. 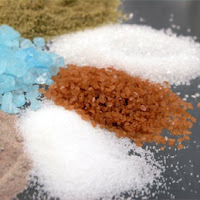 Health experts say "bath salts" are powerful synthetic stimulants, designed to be comparable to cocaine or methamphetamine, and with similar risks. The alleged effects include rapid heart beat, an intense high, euphoria, extreme energy, hallucinations, delirium, insomnia, psychosis, paranoia, suicidal thoughts, chest pain, heart attack and stroke. "Bath Salts" come in small packets and can cost anywhere form $25 to $40. They're sold online, at convenience stores and head shops. When I was a kid, there were limited of things that were considered dangerous. This included actual drugs, Sharpies, glue, & paint thinner. Maybe it was just me, but I used my time to play outside and other child/adolescent stuff to worry about than getting high. Nowadays, children have video games and the internet. Once that gets old, they either go do/sell drugs or bully people. What the hell?? Go outside and play “Tag” or “Hide & Seek,” dammit!